Thank you for your invitation to meet with you and the other ENGOs working on marine issues next week. We appreciate the opportunity to share our concerns and hear your perspective on the next steps needed to protect the health and productivity of marine ecosystems. As you may know, Sierra Club BC has a long-standing interest in marine conservation. For many years our organization was an active member of the Marine Protected Areas caucus. Our pioneering work on Blue Carbon, conducted by Dr. Colin Campbell, highlights the potential of estuarine and saltmarsh habitats to function as highly efficient carbon sinks. We continue to advocate for protection of Blue Carbon as a key plank of Canada’s strategy to mitigate climate change. Right now, our focus is strongly on preventing severe and permanent ecosystem impacts from the proposed Site C dam to a number of aquatic species in the Peace River. The Site C dam would also interfere with ice jam formation and spring flows into the Peace Athabasca Delta, a UNESCO World Heritage Site and an important carbon sink in its own right. On July 28, we were shocked and saddened to learn that DFO has issued permits for continued construction of the Site C dam, despite strong opposition by Treaty 8 First Nations, multiple court challenges, and an unprecedented Statement of Concern from over 350 scientists and the Royal Academy of Canada, who unanimously called on the federal government to revisit the Order in Council approving Site C, and to suspend the issuance of further permits pursuant to the Order in Council until it has completed an analysis of the project’s impact on Aboriginal and Treaty rights. 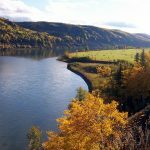 As you are aware, the Joint Review Panel on Site C found that Site C would cause significant adverse effects to fish and fish habitat, and significant cumulative adverse effects to fish. DFO anticipates the extirpation of the Arctic Grayling and a near-extirpation of Peace River Mountain Whitefish (loss of 90 percent of population). While BC Hydro proposes to mitigate effects on Bull Trout, a species of special concern under COSEWIC, by means of fish ladders, similar at-tempts in other jurisdictions have met with scant success to date due to Bull Trout’s reluctance to use man-made structures. The release of methylmercury from decaying vegetation, and its bioaccumulation in Bull Trout is also of concern, given the cultural importance of this species to Treaty 8 First Nations. 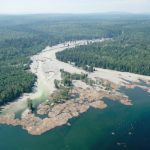 Contamination of the remaining Bull Trout in the Peace watershed with methylmercury would severely and permanently undermine First Nations uses of the land. Regarding Site C’s impact on the Peace Athabasca Delta and Wood Buffalo National Park, the prima-facie scientific evidence, presented to the World Heritage Committee by the Mikiseew Cree and Athabasca Chipewyan First Nations, was sufficient to trigger a UNESCO Mission to Canada to investigate these impacts. The ecological health of the PAD is supported by a complex interaction between the Athabasca River, the Peace River, the Birch River, and Lake Athabasca. Pending the completion of the Mission, the UNESCO Heritage Committee has requested that Canada refrain from proceeding with any project that would cause irreversible damage. Approving continued construction of Site C is contrary to Canada’s international obligation to protect the Peace Athabasca Delta and Wood Buffalo National Park from adverse effects of upstream development. 1. How do you, as Minister of Fisheries and Oceans, and a member of the federal Cabinet, plan to redress the burning First Nations issues arising from the approvals given so far to Site C, which are at odds with the federal government’s commitment to reconciliation with, and legal obligations to, First Nations? 2. How do you, as Minister of Fisheries and Oceans, and a member of the federal Cabinet, plan to comply with Canada’s international obligations to protect the Peace Athabasca Delta, a World Heritage Site? We thank you for your urgent attention to this matter.